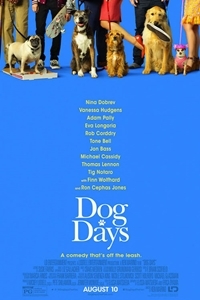 Synopsis: From acclaimed production company LD Entertainment (The Zookeeper's Wife, Jackie, and Megan Leavey) and Director Ken Marino comes Dog Days. Dog Days is a hilarious and heartfelt ensemble comedy that follows the lives of multiple dog owners and their beloved fluffy pals around sunny Los Angeles. When these human and canine's paths start to intertwine, their lives begin changing in ways they never expected.